Woodbrook is a popular development which Neal Communities opened November 2011 in north Sarasota. Over the years hence, this community has become a hotspot for Sarasota homes for sale mainly due to its coveted location just south of the junction of Saunders Avenue, Lockwood Ridge Road, and Honore Avenue. 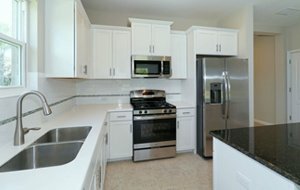 As of August 2017, just one move-in ready home is available from Neal’s inventory of Woodbrook homes for sale. Some resale properties in this community are now typically available though in the MLS of Sarasota homes for sale. 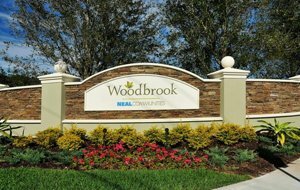 The strong residential demand in the Woodbrook area has prompted Neal to develop three other neighborhoods in this locality, namely: Magnolia Point, Woodland Trace, and Villa Amalfi. Woodbrook, all told, has 218 home sites within its gated 95-acre site. Over 30 percent of this acreage is protected conservation land, thus creating a perfect setting for a community with beautifully landscaped grounds and charming streets. Overall, the community’s refreshing backdrop helps to create the ambience of a friendly neighborhood. This development also offers plenty of amenities by which neighbors can interact socially. Woodbrook homes for sale impress prospective buyers with the community’s gathering area where residents can partake of several facilities including a resort-style swimming pool, spa, outdoor grill and cabana. The community likewise has a park with a kids’ playground. There are pet pick-up stations as well, in addition to smaller but charming pocket parks with beautiful streetscapes and entryways. The stock of residences in Woodbrook consists of single-family homes with floor areas of between 1,500 and 2,700 square feet. These come in three- to four-bedroom designs and at prices in the $300s–$400s range. One of the prized finds at Woodbrook is its four-bedroom, 2,200-square-foot Starlight model which is available in three- or four-bedroom layouts. Typically priced in the mid-$300s, this design garnered the Best Overall in its category during the 2012 Manatee Sarasota Parade of Homes. It topped other entries in this annual showcase with its citations as Best in Curb Appeal, Kitchen, Master Suite, Floor Plan and Architectural Detail. 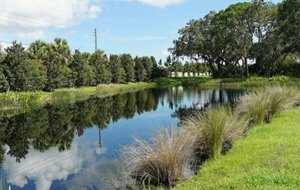 Besides their superb features, Woodbrook homes for sale derive much of their market strength from nearby employment hubs in Bradenton and Sarasota. Job opportunities in Lakewood Ranch are likewise growing, with one epicenter, the CORE campus for biotech companies, just starting to draw business locators. Many young families are attracted to live in Woodbrook because of its proximity to top-rated local schools and kid-oriented recreational facilities. Off State Route 70 near Braden River High, for example, stands the Braden River Little League providing softball and baseball programs since 1991. Family activities can likewise be enjoyed at the nearby fishing camp of Jiggs Landing which provides facilities for canoeing and kayaking too. As convenient, Woodbrook is just a few minutes away from the commercial centers north on the junction of SR 70 and Lockwood Ridge Road. The major retailers which have set up shop in this area include Publix, CVS and Walmart. More life and leisure activities are as readily accessible at the Mall at University Center a short trip south via Lockwood Ridge or Honore Avenue onwards to University Parkway. Below are the current real estate listings available at Woodbrook.